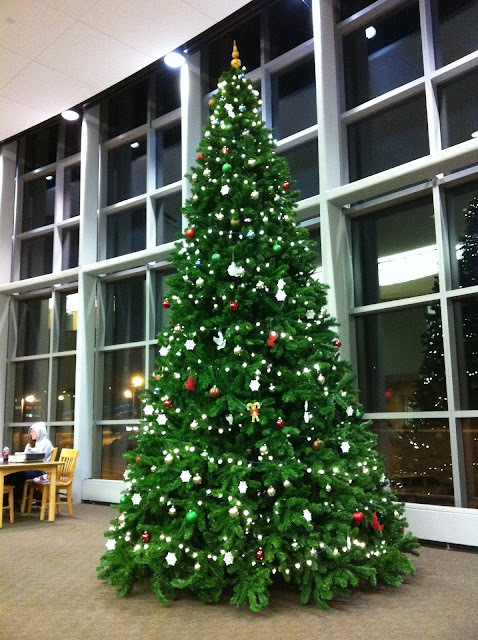 A beautiful Christmas tree appeared in the library. I have no idea when it was put here, but it really decorates the library cozy and beautiful. Cute! Thanks for the library staff. I am looking forward to my trip to Florida from Dec 19 to Dec 29. I will spend 7 days in Gainesville and 3 days in Orlando. I wanna go to the Disney World in Orlando, which is the biggest one in the world. Sweet just think about it.